In a moving, fascinating discourse at the IIS Masjid in East Windsor, NJ, Imam Fode Drame explores the variegated Quranic meanings and references to ‘humanity’ in the Qur’an. Imam Fode touches on the spiritual dimensions of the Quranic narrative about man’s beginnings and helps us to understand the importance of the heart. Imam Fode Drame was born in the Senegambian region of West Africa. He descends from the Jakhanke tribe, which is primarily known for producing erudite and distinguished Islamic scholars.Imam Fode learned the formal recitation and memorization of the Qur’an at a very early age and was fully immersed in all his formal studies of Hadith, Fiqh, Arabic Grammar, Language Acquisition, and Tafseer (Qur’anic Exegesis). Imam Fode’s desire for learning lead him to Senegal to pursue further studies in French. He remained in Senegal as a teacher until he departed to Canada. Upon moving to Canada, he pursued further education in Montreal, while being the resident Imam of the West Island Islamic center. He studied in the Department of Linguistics at the University of Quebec. As a multilingual speaker, Imam Fode Drame is acquainted with several African and European tongues, Hebrew, as well as with a mastery of Arabic. He left Montreal in 1999 and subsequently moved to Vancouver. Along with reading and writing at a hectic pace, he currently heads the Zawiyah Foundation, where he gives regular classes on a variety of topics, including Islamic spirituality or Tasawwuf. 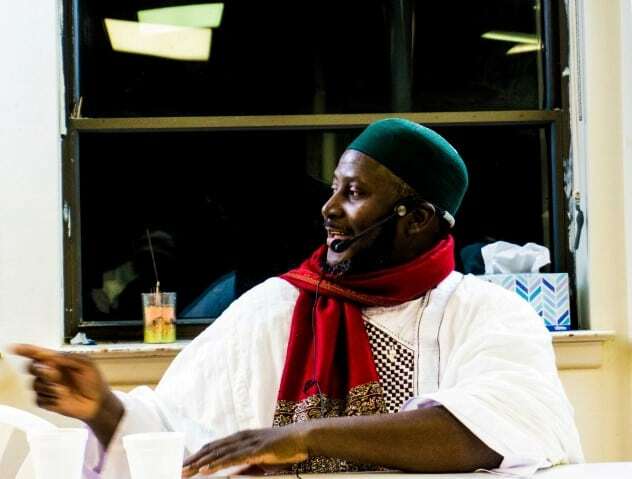 He has become a lead figure in the community acting as an Imam, scholar, and teacher.